Broward County Health Department Community Dental Clinic. Thursday, Friday from 8:00 A.M. – 5:00 P.M.
Services for clients funded by the Ryan White Program. The Health Department is the lead agency for the Ryan White Care Act Dental Services and provides services at four clinical locations for those who qualify. Three of the sites serve adults and the fourth site serves children under age 18, as well as the caregivers of the child who receives Ryan White services. In addition to clinical services, clients may be referred as necessary to Nova Southeastern University Dental School or the Nova Southeastern University Oral Surgeon at Broward General Medical Center. Finding dental costs for procedures is difficult. We created this section so users of our website can see what others have paid for dental treatment at Broward County Health Department Dental Clinic Northwest Health Center. 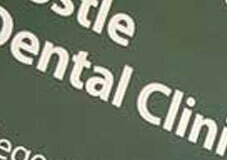 Do you know how much Broward County Health Department Dental Clinic Northwest Health Center charges for services? Attention We cannot guarantee the dental costs to be completely accurate. They are displayed for informational purposes for our users. We have compiled prices provided by users and online research. In order to obtain actual costs please contact Broward County Health Department Dental Clinic Northwest Health Center directly.